Nashville, Tenn. (February 11, 2014) - Nothing could be more inviting during a cold winter than sunshine, relaxation and incredible entertainment. K-LOVE, along with World Hope and Premier Vacation and Events promise just that during the 12th Annual 2015 K-LOVE cruise. The brand new MSC Divina ship will set sail from Miami, FL on January 13, 2015 and hit three ports of call (Freeport, Nassau and private island, Half-Moon Cay) through January 17th. "Hosting the K-LOVE Cruise for over 10 years is our privilege!” remarked David Pierce, COO of K-LOVE. “The friendships that are made, the people who are refreshed, and the impact of seeing God at work in so many lives on board, makes this an amazing getaway! We are thankful for the artists, listeners and friends who come together to make the K-LOVE Cruise really something special." Throughout the trip, passengers are invited to join their favorite K-LOVE artists, including Casting Crowns, Mandisa, Newsboys, Laura Story, Building 429 and more. K-LOVE personalities will be on the ship as well, along with incredible speakers like New York Times best-selling author and speaker Lysa TerKeurst. Tickets for the cruise are on sale now with prices starting at under $90/month. To purchase and find out more information please visit www.klovecruise.com. 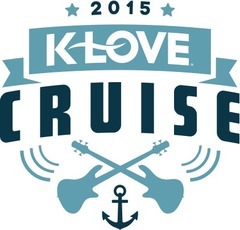 “God was certainly present and moving aboard this years K-LOVE cruise,” said Mike Novak, K-LOVE President/CEO. “I’m looking forward to our 2015 cruise on a bigger ship, exciting ports and more great Christian music and time to come together with friends and family. You better claim your cabin right now and see you next year!" Premier Vacation and Events has been responsible for producing unique, family-friendly vacations for over eleven years. With such events as the K-LOVE Cruise, Love Like You Mean It Marriage Cruise, Music Boat, Girls Getaway and Illuminate Vacation just to name a few, they will be host to the Duck Commander Cruise this summer. From branded events to corporate getaways, PREMIER is leading the industry in innovative vacation events. World Hope is a non-profit missions organization that identifies places on the planet that are most in need of urgent care, and then seeks to bring to them the Hope found only in Christ. World Hope has built Hope Centers in India, The Philippines, Nicaragua, Haiti, and our flagship Hope Center in the slums outside Nairobi, Kenya. Our newest project is our first domestic Hope Center in Detroit, Michigan, which will open this year. All of our projects are centered around a church and will include ministries such as feeding centers, medical clinics, school, adult education, and sports programs. For more information, we invite you to visit us online at WeAreWorldHope.com.